The UK sister to Skyros holistic holidays in Greece, The Grange by the Sea on the Isle of Wight is a characterful Georgian house with lovely, lush mature gardens where creative and healthy weekend retreats take place on set dates throughout the year. 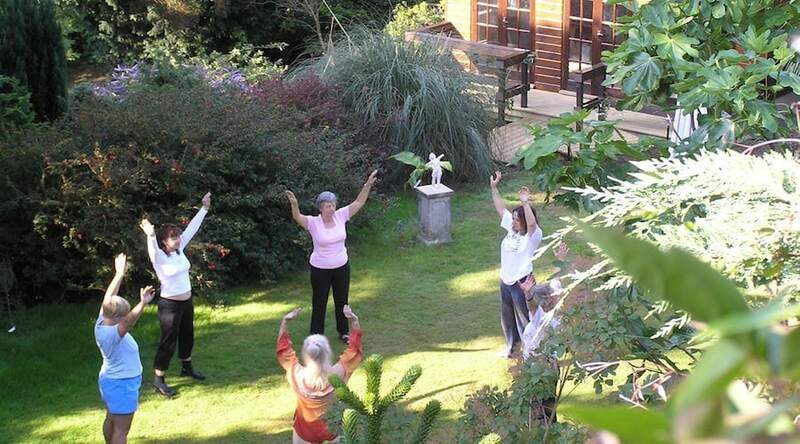 You can also come and stay on a B&B basis (when children are welcome) and enjoy treatments, use of the sauna, local walks and one to one sessions in yoga, tai chi, writing, painting and life coaching. 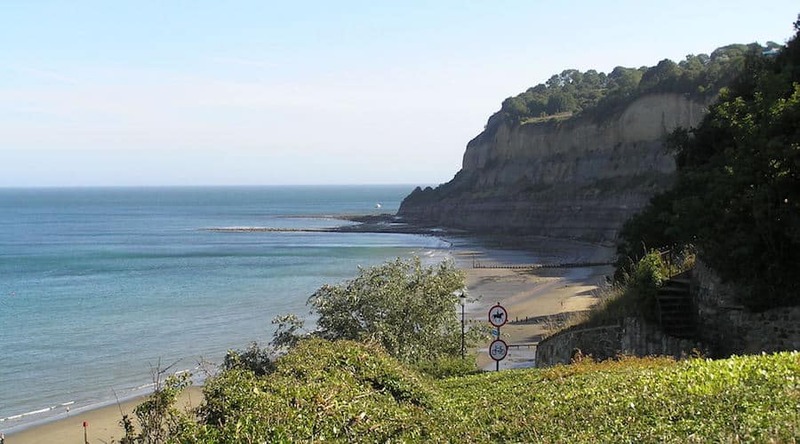 Nearby you’ll find sandy beaches and costal paths, and the quaint historical village of Old Shanklin. The versatility of being able to come with your loved ones on a B&B basis or join a weekend course means you can devise a retreat to suit your needs – and bring your family if you want to. The Isle of Wight can get busy during peak seasons, but The Grange feels like a haven set away from the throng. 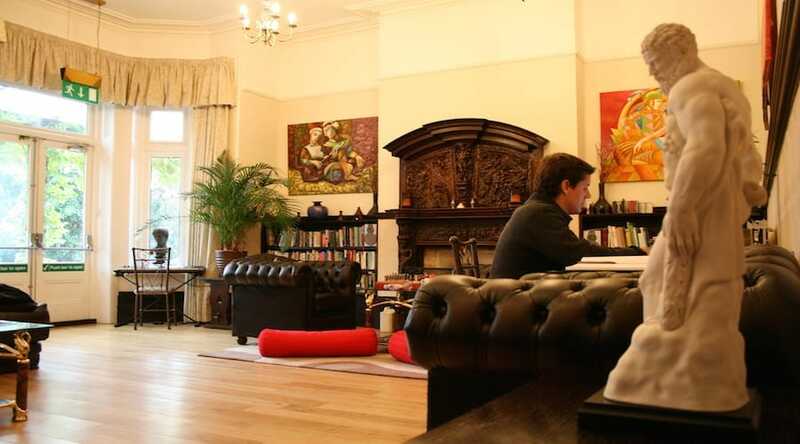 Come for B&B and to dip in and out of treatments and private sessions, or choose weekend courses with a focus on health and wellbeing or writing, music and other arts. 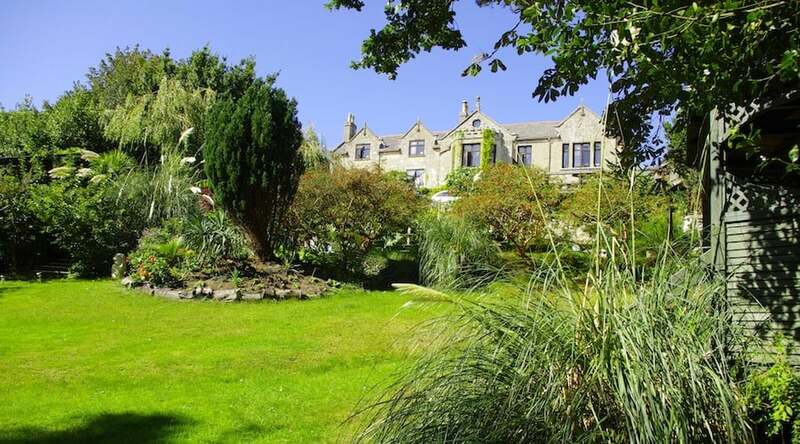 Weekend retreats begin with arrival anytime from 4pm on Friday and end at Sunday lunchtime. Sessions run for two hours both mid-morning and late afternoon on Saturday and for two hours mid-morning on Sunday. 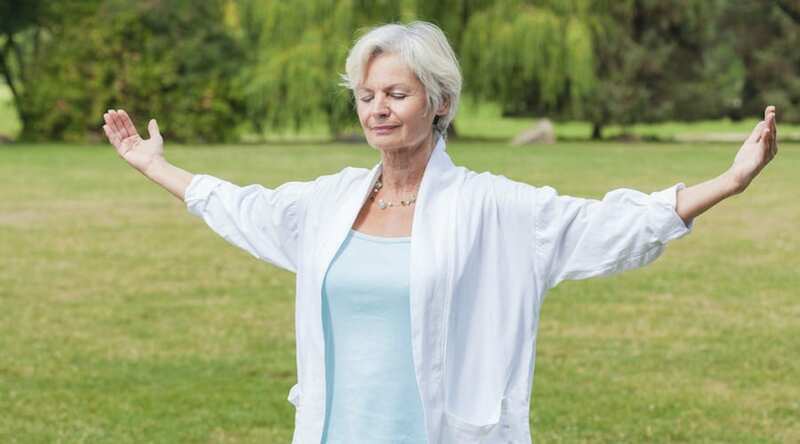 The Health and Wellbeing retreat weekends at The Grange encourage you need to leave behind life’s limitations, recharge your passion and go for what really matters to you. Fully supported by experienced facilitators, other like-minded participants and the warm, relaxed environment, you can use this time to reach new insights and make breakthroughs in your life, whether personal or professional. Examples of Health and Wellbeing retreat weekends at The Grange include ‘Your Best Year Ever’ with Andrew Risner, ‘Love What You Do’ with Julian Russell, ‘Wellbeing Moments’ with Andry Anastasiou and ‘Passionate Living’ with Malcolm Stern. Like the Skyros holidays on Greece, The Writers’ Lab at The Grange offers a wonderful opportunity to learn directly from distinguished writers, to share the joys and struggles of the creative process, and to discover strengths and polish skills. Courses are open to novices with a secret passion for writing as much as to writers who already have a book under their belt. Arrive with a work in progress or just an empty page – all are welcome. 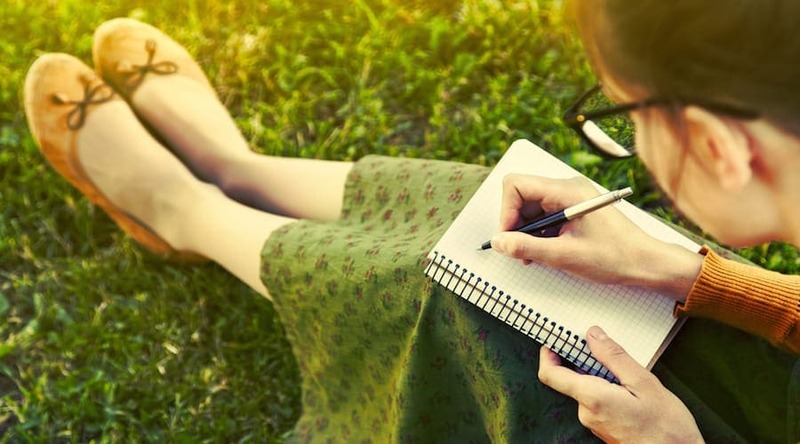 Examples of weekend Writers’ Lab courses at The Grange include ‘Your Story’ with Monique Roffey, ‘Your Writers’ Voice’ with Crysse Morrison, ‘Screenwriting’ with Phil Gladwin, ‘How to Build a Novel’ with DJ Connell, and ‘Adventures in Comedy Writing’ with Logan Murray. 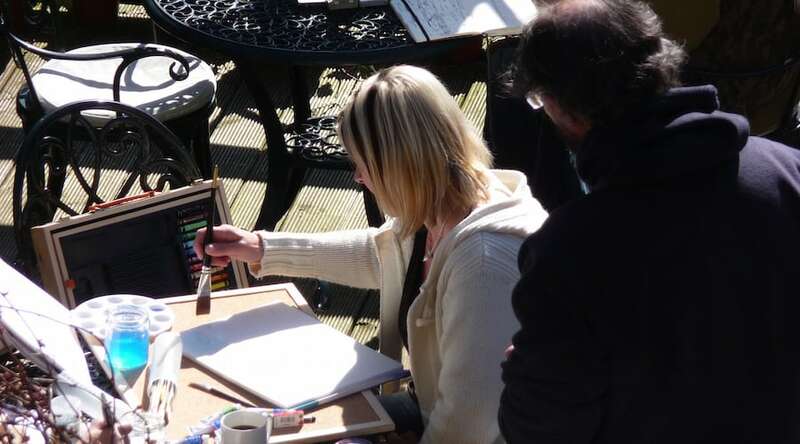 The Music & Arts weekend retreats provide an inspirational setting in which to get your creative juices flowing under the expert guidance of visiting artists, dancers and musicians. Join any of these courses with no experience or plenty, and know that you will return home with the skills and encouragement necessary to pursue your creative vision with renewed vigour. Examples of weekend Music & Arts courses at The Grange include ‘Digital Photography’ with David Babsky, ‘The Joy of Singing’ with Sarah Warwick and ‘Cuban Salsa’ with John Harris. The Grange run popular Christmas and New Year celebration breaks which typically bring to together a selection of health and wellbeing classes and workshops. 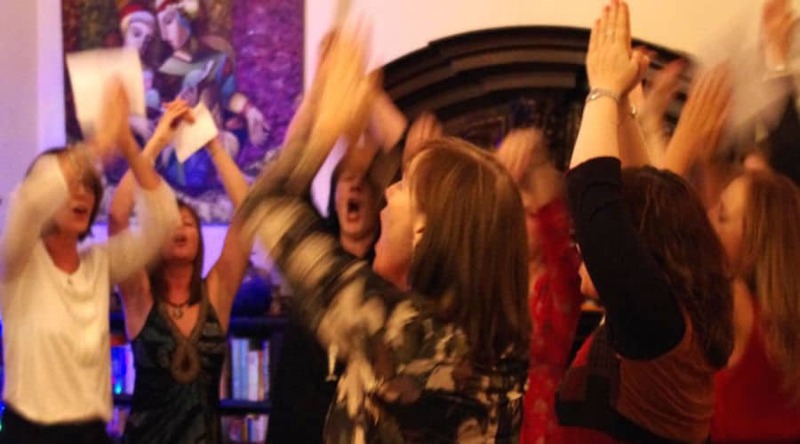 Expect singing, dancing and laughing and delicious food tailored to dietary requirements. There’s also a boxing day swim if you’re feeling brave. 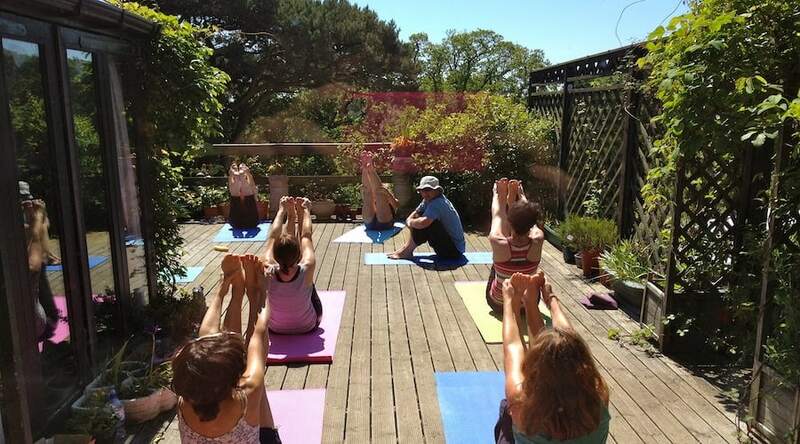 The Grange offers a range of yoga with teachers who have a welcoming and inclusive teaching style. Book one-to-one yoga classes with an outstanding local yoga teacher, Carol Macartney, or come on a weekend yoga retreat such as Yoga with Awareness with Ken Eyerman, Yoga with Feldenkrais, which is suitable for those with injuries, and Yoga for Every Body, where the yoga is adapted to the individual. Teachers will accommodate all levels of student, including those with little experience of yoga. You can book one to one movement, creativity and wellbeing sessions throughout the year here when you stay on a B&B basis. Choose yoga, tai chi, creative writing, painting and life coaching, or talk to the team at the Grange if there’s something else you fancy. You can book massage and holistic treatments here with trusted local therapists such as aromatherapy, Swedish massage, reflexology, Indian head massage and hot stone, as well as beauty treatments such as organic facials, lava shell massage and manicures. At the nearby long, sandy beaches just a few minutes walk from The Grange you can have a go at surfing, windsurfing, kayaking and SUP, or head along some of the 500 miles of footpaths around the island. The walk from Shanklin to Ventnor is recommended. It takes around 2.5 hours following the coastline. For cyclists, there are numerous designated routes, bridleways and coastal tracks. In the nearby ‘Old Village’ in Shanklin town you can have a drink in a cocktail bar, relax in the atmospheric, friendly thatched-roof pubs, eat in a fine dining restaurant, listen to local music in the piano bar and browse shops with local Isle of Wight produce including banana rum and locally produced chutneys and jams. Sleep in one of 15 modern bedrooms, decorated in neutral tones to reflect the natural surroundings with bold colourful artwork which includes sculptures, paintings and photography. Views from four bedrooms on the first and second floor look out over the gardens and across to the sea beyond, or to the side of the house there are views of the downs. Each has a hairdryer and tea and coffee making facilities. Bathrooms have good showers and Duck Island toiletries. Some en suites have baths, some have power showers, so be sure to ask ahead if you have a preference. Bring good walking shoes to make the most of the coastal walks available. The island hosts a number of festivals and events, which maybe worth considering when booking your transport. The Christmas break includes a rejuvenating Boxing Day sea swim if you’re feeling brave! There is free wi-fi throughout the house. June through to September are busy on the island but also best for weather. 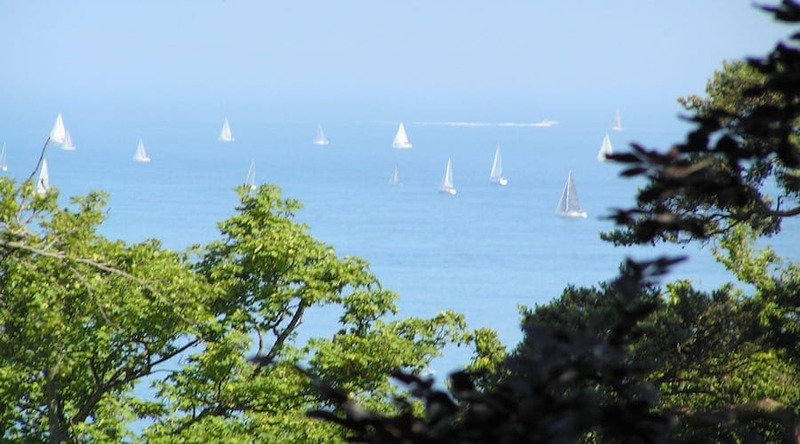 Spring is a lovely time to visit and Shanklin has a micro-climate with more hours of sunshine than elsewhere in the UK. There are walking events during summer and the Isle of Wight Festival takes place in June. For an alternative Christmas or New Year, go for a retreat with lots of fun on the agenda. 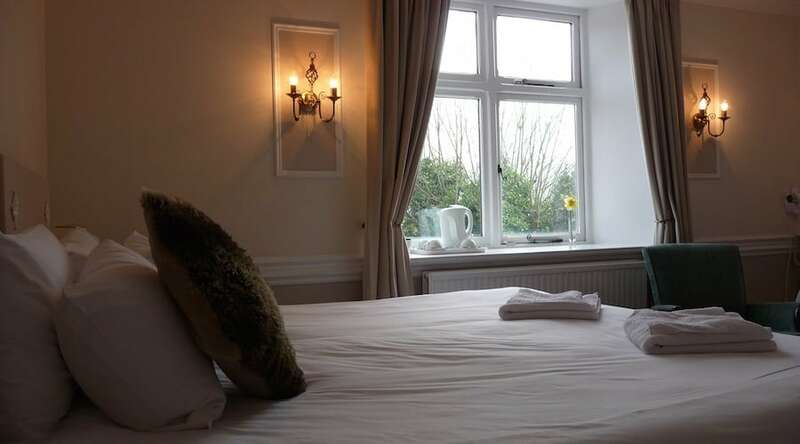 The house: The Grange is close to Shanklin’s atmospheric Old Village but secluded and surrounded by greenery. 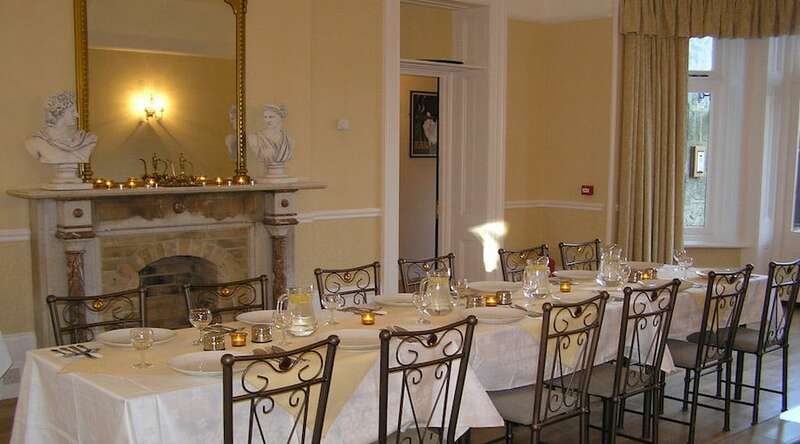 A comfortable, renovated Georgian house with high ceilings and wooden floors, it has an original carved fireplace in the lounge and a dining room leading to a cosy honesty bar. 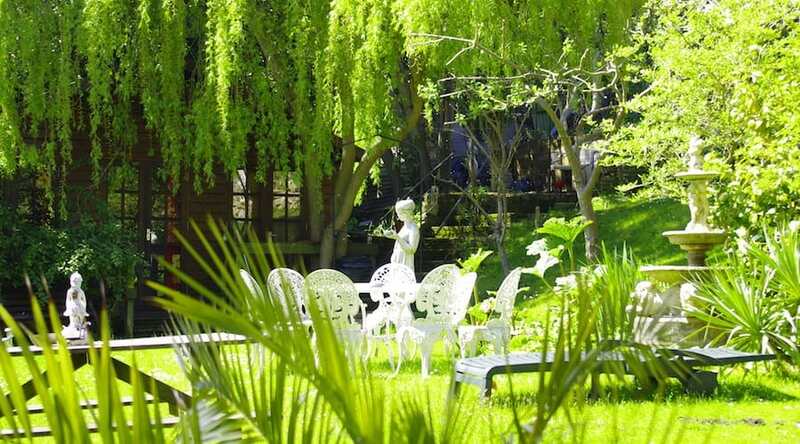 The grounds: The lovely lush garden has statues and sculptures amidst banana, fig trees and tropical plants – the Isle of Wight enjoys a micro climate so you’ll find a surprising array of flowers here. Facing acres of parkland, there are two garden chalets with a sauna and treatment room, and space for some activities and classes. The dining room is usually set up with tables seating four people at a time. During weekend retreats, people usually sit together so they can get to know each other. Breakfast is made with locally produced fare where possible, with fresh fruit salads, natural yoghurt, various cheeses, freshly baked croissants and hot traditional breakfasts. Main meals on retreats are tasty, simple, easy to digest affairs, with vegetarians always catered for – special dietary requirements can be catered for too. 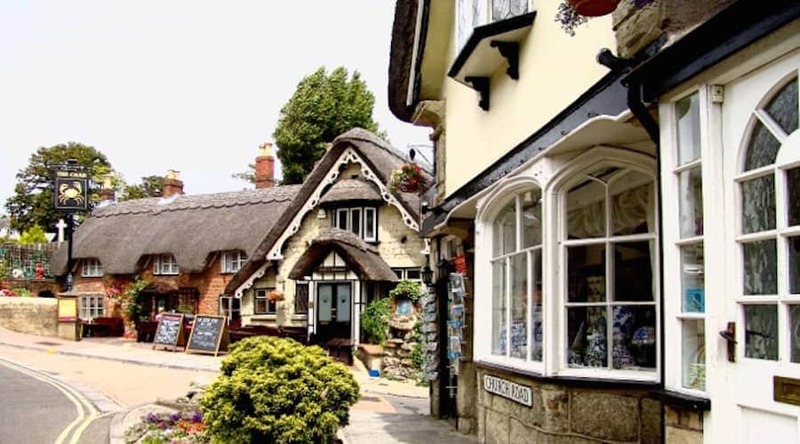 If you’re here on a B&B break, there are a few good local restaurants, a cosy thatched roof inn and a fish and chip shop to eat at in the village for lunch and dinners. Or on the beach there’s a charming pub called Fisherman’s Cottage, where you can have crab or other seafare for lunch. There are no self-catering facilities at The Grange. Most all staff at The Grange are local and walk in to work.